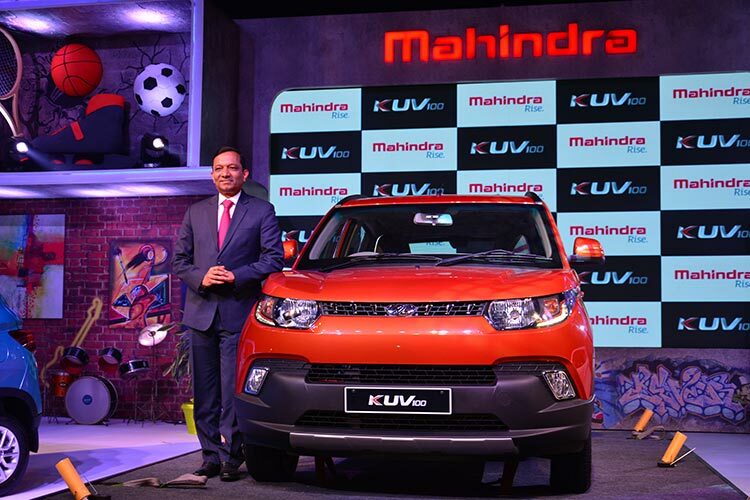 Mahindra and Mahindra Limited (M&M) today announced that Mr. Anand Mahindra, who currently holds the position of Chairman and Managing Director, is being designated as Executive Chairman of the Company with Dr. Pawan Goenka being elevated to the position of Managing Director. He will continue to report to Mr. Anand Mahindra and the Board of the Company. This is in line with the practice followed by companies across the Mahindra Group, where the position of Managing Director or CEO is distinct from that of the Chairman. Mr. Mahindra emphasized that as the Executive Chairman of Mahindra & Mahindra he will continue to oversee, and be responsible for shaping, the growth strategies of the Company and its portfolio of investments. The organization structures and processes in M&M and in the Group Corporate Office have already been aligned with this change over the past one year and there will be no change in the reporting relationships of the Group Presidents / Presidents who head the other Sectors / Functions of the Group. Dr. Goenka joined Mahindra & Mahindra as General Manager R&D in 1993, after working for General Motors Corp. in Detroit, USA for 14 years, and was instrumental in growing the R&D capability of Mahindra and also the launch of the Scorpio SUV. He became President of the Automotive Sector in 2005, of AFS (Automotive and Farm Equipment Sectors) in 2010 and was appointed Executive Director on the Board of Mahindra & Mahindra in 2013. Dr. Goenka has been actively involved with many professional bodies such as CII, SIAM, SAE, ARAI and has been widely acclaimed for his technical work and business leadership. Currently he also serves as the Chairman of the Board of Governors of IIT Madras. When I joined the Group 23 years ago, I could never have imagined that one day I would be entrusted with this responsibility by the Board of the Company. I am sure that with the guidance of the Executive Chairman and the Board, and the support of my colleagues, this Company will continue on the growth path that we have witnessed over the last decade and a half.